an expression of President Muhammadu Buhari’s commitment to invest in the human capital development of Nigerian citizens, particularly our young people. 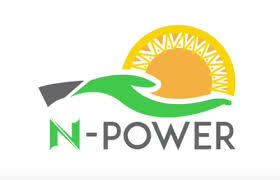 In addition, N-Power is an innovative means to enhance ailing public services in the area of basic education and primary healthcare and also in achieving self-sufficiency by giving our farmers relevant advisory services. The Federal Government of Nigeria wishes to congratulate all 200,000 successful applicants. It is a paid volunteering programme of a 2-year duration. The 500,000 graduates will be trained in skills that will enable exit to economically viable job and business opportunities. They will own tablets that will contain information necessary for their specific engagement, continuous training and development. The 4 main focus areas are in basic education, agriculture extension services, public health and community education (civic and adult education). The N-Power Knowledge programme is directed at investing in the skills of young Nigerians to stimulate Nigeria’s knowledge economy. The knowledge economy is a vital diversification area for the Federal Government. The N-Power Programme will be implemented in phases. The first phase of the N-Power Volunteer Corps Programme starts with 200,000. The residue 300,000 will be engaged in subsequent phases. You are by this notice advised to quickly logon to http://npvn.npower.gov.ng and update your profile especially your account number for those that have been shortlisted for the Npower Programme to enable you receive your payment for the month of December. You are to treat this as a matter of urgency as every payment will be made online and the earlier the better. Failure to update your profile will not only make you not to receive your salary for the month of December, but it will lead to your disqualification as you might be regarded as a ghost candidate.